We are pleased to provide you with a Memorial Candle of your loved one. 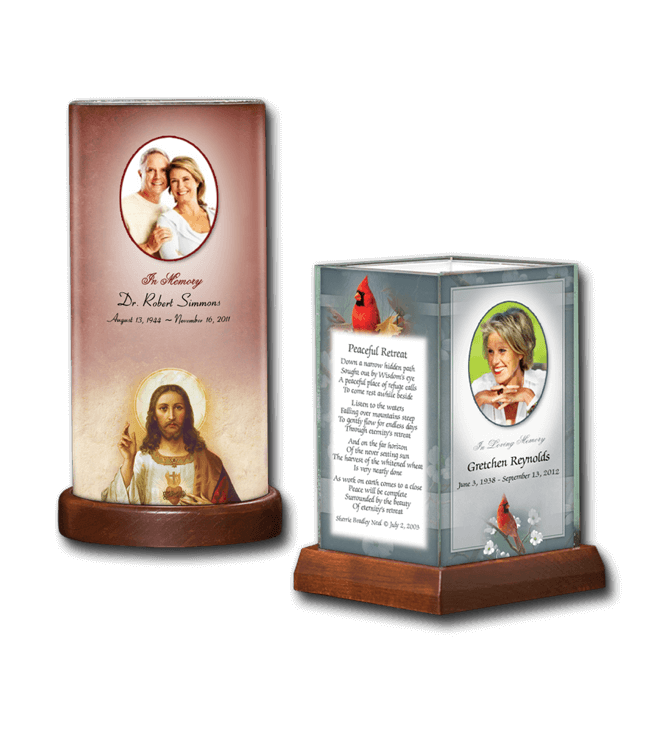 These candles come in a variety of themes and can be customized with photos, dates and prayers or verses. Additional candles can be ordered for family and friends. Custom candles are $20 each, and are individually wrapped in tissue paper and placed in a box. For order inquiries please Contact Us.